Resource Planning and Manpower Planning: Surveys, why and how? In the context of Resource Planning it is often good to regularly check up the activity of your workforce and when it is on a non captured platform then a survey is a great way of doing this. 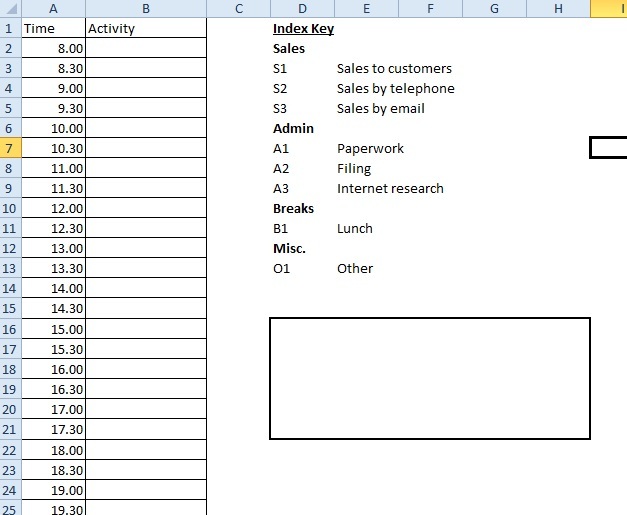 Surveys are simple and one common example would be to format an excel document to list the times on the left hand column and ask them to enter in the activity they were doing over at least a one week period so you can analyse any intra day and daily fluctuations. If you have a small workforce then free formatted text is ok as you can spend the time manually configuring the information however to save time and also for larger groups you can specifically set the paramters of the entry by using an index key. 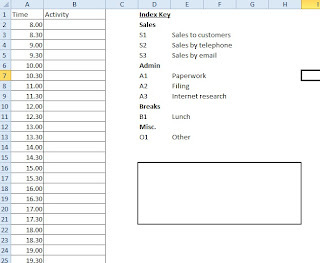 The index key will list usually in categories the general types of activity you wish your workforce to be doing and one other category with a free format text box at the bottom to explain. This will mean you can simply copy and paste the data into a database and quickly get stats around the activity undertaken in your business. Set up an index key for the types of work you wish to capture, you can list as many categories as you want but do not over complicate as it will then be counter productive to fill in and give you less meaningful results. - Use VBA to collate all your responses into one database.